By the beginning of each May I’ve usually rigged up a long list of novels and short stories I’d been dreaming about for months, and most of the time I finish all if not the vast majority of them. For some reason, It’s been a slow process making my list for this year, and there’s a giant hole at the end of it. Since I’ll be working full time starting in June, this will be the first summer when I will not have enough time to read everything I want, so I’ve placed a bit of pressure on myself to make the time I do have worth it. Here’s my list as it stands so far. My first and most important goal was to reread The Great Gatsby before the movie came out. I finished with one day to spare and plan to see the movie next week with my best friend and fellow Gatsby lover. See Thursday’s post on my expectations for the film. Henderson the Rain King by Saul Bellow. One of my favorite genres is mid-life crisis novels, and though I’ve hardly cracked it open yet, this one certainly holds promise to become a new favorite. Based on the reviews I’ve read, Eugene Henderson seems to be just the type of eccentric wanderer I love to get to know, and his spontaneous travels through Africa sound like a hilarious disaster and learning experience waiting to happen. During my busier months I like to have a book that I can poke through slowly. 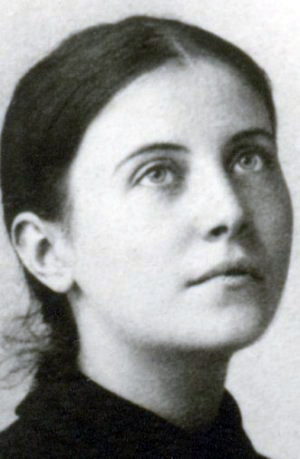 I ordered The Life of St. Gemma Galgani by Ven. Fr. Germanus to be my summer devotional reading, though it will probably take me a while to get through while working. After my internship ends in August, I’m torn about what to read during my last two weeks before school starts. Their Eyes Were Watching God has been on my list for years, but I’m also considering picking up David Sedaris’ Let’s Explore Diabetes with Owls because of the title alone. Can Luhrmann repeat the past? 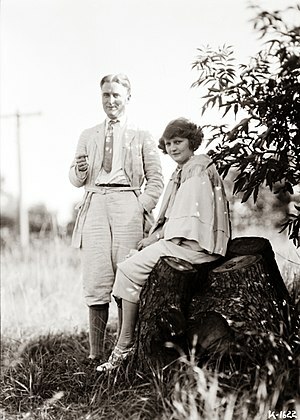 Baz Luhrmann faces a challenge in his adaptation of The Great Gatsby. The film could very easily fall into place with so other movies today which are built around visual spectacle or fashionable actors but neglect plot or character development. True, there is a great deal of spectacle in to novel–beyond extravagant parties, fancy cars and beautiful people–but that spectacle serves a very specific purpose. Gatsby throws those outrageous parties and surrounds himself with unbelievable wealth essentially to attract Daisy so he can relive his naive, fantastical illusions of his past. I hope that Luhrmann doesn’t just recreate that spectacle to attract an audience, but uses them to serve the greater purpose of the plot. And based on his 1996 adaptation of Romeo and Juliet, I believe he can and will. I admit it. To the chagrin of many of my English major friends, I love Baz Luhrmann’s Romeo + Juliet. It seems that nearly every time I mention the movie to any literature lover, they grumble about how it’s too overdone and the use of the original dialogue in its modern setting is frivolous. But all that, too, serves a purpose. To adapt any novel, some tweaking is necessary. Perhaps he created the drama of the costumes, setting and other imagery to illustrate how young love (remember, Juliet was barely a teenager in the story) can be so emotionally charged that it becomes a little ridiculous and maybe even dangerous. Perhaps he picked a modern-day California city as a setting to remind the audience of those enduring themes–something which, in my opinion, the sleepy 1968 version failed to do. And perhaps he’s making a similar attempt with Gatsby, with its hip soundtrack executive-produced by Jay-Z and its retro yet fashionable costumes. As long as Luhrmann keeps his theatrical elements in check, he’ll deliver this story’s classic truths effectively. And if he does so artistically, he will captivate and convince his audience to soak them up.